This is a double-post from Facebook but I wanted to save these images for the blog, as well. My folks are up north visiting my brother, and they traveled northwards to visit Davis (their alma mater) and see old friends. 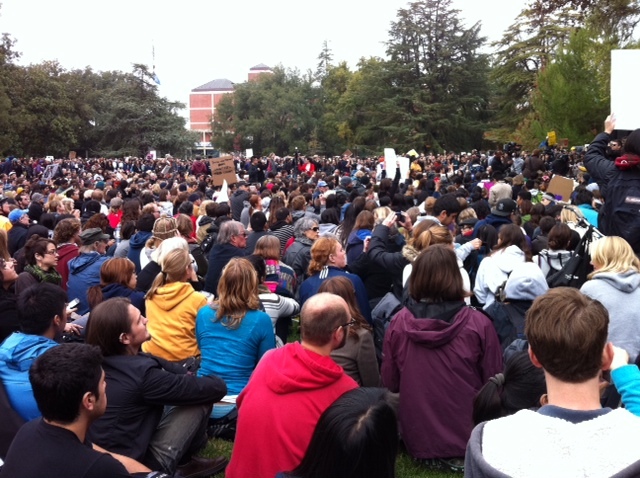 They decided to also go to the general assembly meeting of Occupy Davis, on Monday the 21st. Here are pictures. I’m really glad they went–I wish I could have been there. Gallery: click on any one to enlarge and click through.